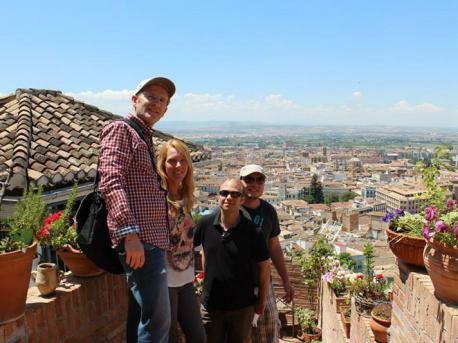 Learn Spanish in Granada, a beautiful and historic Andalusian city which is surrounded majestically by the Sierra Nevada mountain range. The city is large but not overly so, with an urban population of approximately 230,000 Apart from varied sieges, the Alhambra has remained largely untouched since and stands proudly in Granada. It is currently a museum, displaying Islamic architecture. The palace of Charles V and Granada Cathedral are further places of interest. Besides, the University of Granada is one of the most popular universities in Spain and parts of the city have a fantastic student vibe.